Results: 1 to 10 of a total of 83 results. OH KENTUCKY I've been to several states, and Kentucky is absolutely my home sweet home If you want to know anything else please email me. Does kurvesahead belong in this group? Does bullgodking belong in this group? i live in the ville hi I live in louisville.. would love to meet nice woman.. Does erikbroox belong in this group? Does lazznangel belong in this group? Does msgoldfinger007 belong in this group? ALE 8 One and much more Grew up in Morehead and currently live in Winchester. I think KY has lots to offer and I love the green rolling hills. I love driving to work and see horses in the field grazing peacefully. Then you have UK Championship Bball team~~GO CATS!! Does andistauter belong in this group? Born and Raised KY Girl Small town girl looking for love. Does samanthajo20070 belong in this group? Does brittawildcat belong in this group? 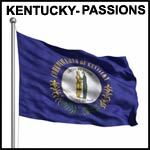 Raised in KY I've lived in KY for 25 yrs. love it!!! Does sherksarahb belong in this group?